My latest PopMatters article is now live: Tiny Tower Ethics. I'll happily receive the brunt of the blame for my dissatisfaction with Tiny Tower. I should have known to turn off notifications immediately. I should never have allowed it to wake me up moments before falling into deep sleep to remind me to tend my wares, and I should have gotten up to obey its command. "Tiny Tower is a drug, easily enjoyed and easily abused. In moderation it is an absolute blast to play, with compelling-yet-simplistic gameplay, an intuitive interface and utterly adorable visuals. 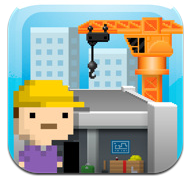 Yet, to play Tiny Tower only ‘in moderation’ can be more challenging than the game itself." "I actually think that Skinnerian reward scheduling in general (which you see in most modern game design, MMOs being the canonical example) is unethical and games should not do it... scheduled rewards, to keep the player playing, are a sure sign that the core gameplay itself is not actually rewarding enough to keep them playing, and thus you are deceiving your players into wasting their lives playing your game." The core gameplay of Tiny Towers extends into the real world, asking players to manage their personal time in service to the game. While Brendan Keogh on Facebook rightly points out that the game does not punish players with a lose condition, I can personally dish out enough punishment on my own. Humans are amazingly adept at admonishing themselves with guilt or shame on their own, even without the help of bitizens moaning about closed shops on their faux facebook or my friends overshadowing my own tower. This is not the first time I have criticized a game for unethical design. I denounced Pokemon in an older article for its artificial rewards as well, even when I found other aspects of its design quite appealing. Maybe I am just weak. Even so, I am not the only one. As far as I understand, Nimblebit is making plenty of money back through micro-transactions. Apparently people are willing to pay to skip "gameplay" entirely. Glad you enjoyed my review. I, too, don't think your criticisms are incompatible with my praise. The game certainly sits in a moral grey area for me. I think it is a great game that I thoroughly enjoy playing... and I also think it was designed in a very specific way to make me feel like I must keep playing. I think you've hit the nail on the head with what you say here about players being able to admonish themselves without any intrinsic punishment designed into the game. I think that explains why I find the game so addictive despite the lack of punishment. I haven't played the game, so it's been fascinating to read everyone's thoughts on it. I keep coming back to the same question: What is the game's point? Is there some sort of message or skill set the game is trying to impart? Taking people's money without offering anything in return does seem ethically dubious. @Scott, I've only been playing this for a couple of days, but the point seems similar to something like SimCity (though maybe SimTower would be a better comparison?) - get money so you can build upwards, so that you can increase your income so that you can build upwards more. I'm not sure there's anything more to offer than the fun of that cycle. Thanks for the insight, clevermonkey. I wonder what Will Wright would think about this game...?